Guy Fawkes Night is a night steeped in history and tradition, dating back to 1605. Bonfire Night or Guy Fawkes Night always takes place on November 5th, the original night of the Gunpowder Plot, and this year will take place on Monday, November 5th, 2018. 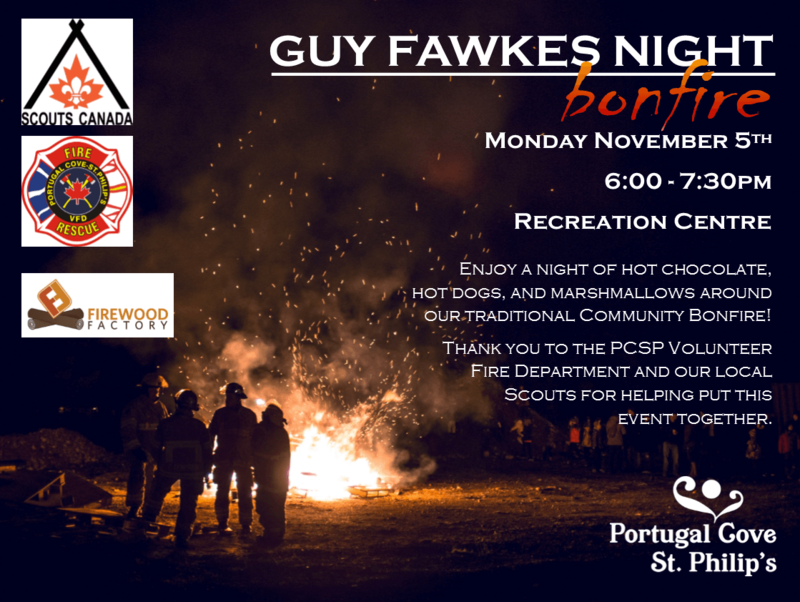 The Town invites the community to come out enjoy a great bonfire, roast marshmallows, and have some hot dogs. For more on the history of Guy Fawkes Night/Bonfire Night, click here.